Exploring museums is the perfect blend of entertainment and education, and a great way to spend an hour – or all day! Museum admission can be expensive, but some of the best museums in Columbus offer discounted or free museum days and special events, plus there are several great museums that are free all of the time! 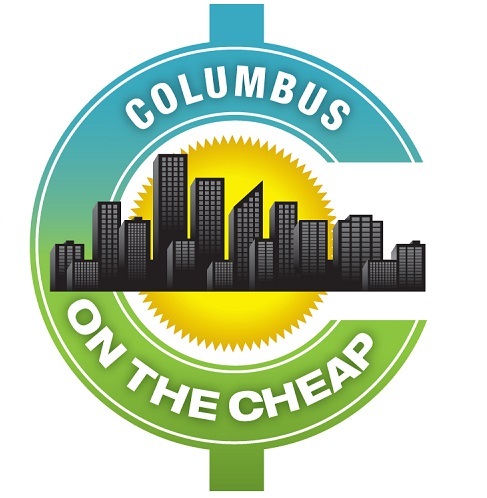 Members of select attractions and museums in Columbus can get a discount at Columbus Member Advantage Partners for 2019. Shoe your membership card and get a $3 discount on general admission. Limit four (4) discounts per visit. Tickets must be purchased from the admissions area of the facility you are visiting. Cannot be combined with other discounts or offers. Ohio’s dynamic Center of Science and Industry is a must-see in our city! There’s fun for all ages at this giant science center. From classic exhibits, live shows, Planetarium, Giant Screen Theatre, to the traveling exhibits and Little Kidspace, there is enough inspiration and hands-on activity to spend the entire day there. Discounts: ASTC & ACM Members, Active, Reserve, and Retired Military, Seniors 60+, and COESRA discount. Certified teacher enjoy FREE admission, and discounted memberships for family. COSI After Dark: One Thursday per month, COSI stays open late for the adults to have the run of the place. There are themed activities, cash bars, entertainment, as well as food available for purchase. Columbus Museum of Art features a fantastic collection of exhibits and art, as well as interactive and exploratory creativity for all ages. Blue Star Museum: Free admission to active military and their families from Memorial Day to Labor Day. Simply show your active-duty military personnel or military family I.D. at the admission desk for free entry. Pizzuti Collection, 632 North Park Street, Columbus. The Pizzuti Collection of Columbus Musuem of Art is located on the border of Goodale Park in the Short North and features exhibitions drawn from a collection of paintings, sculpture, film, photography, drawings, and prints that has been ranked as one of the top in the world. They also host educational programs, lectures, artist talks, and special events throughout the year. Regular admission is Adults: $12, Seniors: $10, Free for members, students and children. FREE Community Days throughout the year offer free admission to the public, plus exhibition tours and family-friendly activities. Upcoming date is March 24; check the calendar for future dates. Wexner Center for the Arts is a multidisciplinary research laboratory for the arts with programming featuring performing arts, exhibitions, and media arts. FREE admission Thursdays for everyone from 4 -8 p.m. Always FREE for Wexner Center members, college students with ID, anyone under 18, and active military and veterans. “The National Veterans Memorial and Museum (NVMM) is neither a war memorial nor a military branch of service museum. NVMM will take visitors on a narrative journey telling individual stories and shared experiences of veterans throughout history. It will pay tribute to the sacrifices of servicemen and women and their families. History will be presented in a dynamic, participatory experience with photos, letters and personal effects, multi-media presentations, and interactive exhibits.” Brand new museum opened on October 27, 2018. Veterans, Active Duty Military, and Blue Star Families get free admission. The Memorial Grove, a place of respectful reflection, is free and open from dawn to dusk. Billy Ireland Cartoon Library & Museum holds the world’s largest collection of materials related to comics and cartoons. Open to the public and admission is free. Hours of operation are Tuesday through Sunday from 1 p.m. to 5 p.m. Please see website regarding closures for exhibition installations, parking, and more. The Wagner-Hagans Auto Museum is a car lovers dream come true! Located in a nondescript garage, this private collection features classic cars from 2 collectors. The collection on display changes periodically and often includes cars from (but not limited to) the 1930’s, 1940’s, and 1950’s, including Packards, a Ford Edsel, 1956 Chrysler Imperial, 1956 Lincoln Continental Mark II, a rare 1931 Packard Model 840 Super 8 Sport Phaeton, and many more. Admission to the museum is free. Appointments may be made by calling Mark Hagans at 614-554-5879 or Steve Wagner at 614-271-0888. The Ohio Craft Museum is a program of Ohio Designer Craftsmen, presenting five major exhibitions each year, plus exhibits and a rotating display of the permanent collection. The museum houses the Craft Research Library and offers educational workshops and events for all ages and levels of experience. Hours are Monday through Friday, 10 a.m. – 5 p.m.; Saturday and Sundays 1 – 4 p.m. Admission to the Ohio Craft Museum is free; programming requires registration fees. The King Arts Complex offers performing, cultural and educational programs that provide high artistic merit, varied and diverse experiences, and which increase and disseminate knowledge regarding the vast and significant contributions of African-Americans to the culture and history of America and the world. Check out the Elijah Pierce Gallery or participate in the interactive exhibits anytime the complex is open. Capitol Square includes the Ohio Statehouse, Senate Building and Atrium. The buildings are not only working government offices but magnificent monuments to the people and the period during which Ohio’s democracy was founded and formed. Guided tours are offered Monday through Friday every hour on the hour with the first tour beginning at 10 a.m. and the last tour beginning at 3 p.m. Guided tours are offered on Saturdays and Sundays at 12, 1, 2 , and 3 p.m. Please note that while the Ohio Statehouse is open to the public on the weekends, the House and Senate Chambers are kept locked, and are only available to be viewed during guided tours. The Ohio Arts Council’s Riffe Gallery showcases the work of Ohio’s artists and the collections of the state’s museums and galleries. Admission is always free and exhibitions feature a quarterly rotating feature. All programming is free and open to all, including opening receptions for exhibits, artist talks, and more. Bank of America customers can enjoy free museum admission on the first full weekend of every month through the bank’s Museums On Us program. Show your Bank of America or Merrill Lynch credit or debit card and a photo ID on Saturday or Sunday, and you will get free admission to more than 150 museums and attractions in cities across the United States. Blue Star Museums, a collaboration among the National Endowment for the Arts, Blue Star Families, the Department of Defense, is offering free museum admission to more than 2,000 museums across America for the nation’s service members, including National Guard and Reserve, and their families. The program runs from Memorial Day through Labor Day. Membership reciprocity discounts: If you are a member of a museum, science center, Zoo, or other membership institution, check to see whether your membership includes reciprocal membership or discounts to other similar organizations. While not a museum, this candy store is a great option for all ages! Thank you – I will make the change. I was disappointed that it wasn’t free for our future veterans from the start. You may want to double check but the National Veterans Memorial and Musuem is now Free Admission for Active Duty Military personnel as well. Thanks to generous donations from the Ohio Chapters of the American Legion, AMVETS and Veterans of Foreign Wars.